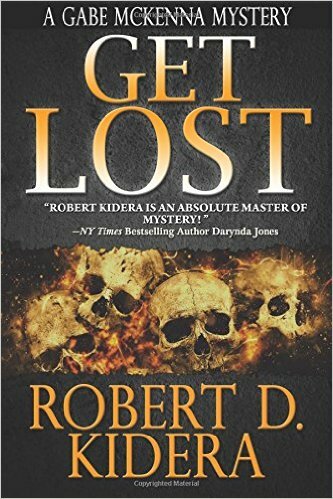 Robert D. Kidera, former academic, will be at Page 1 Books at 3pm on Sunday, May 8, to talk about and sign his second mystery novel, Get Lost: Gabe McKenna Book 2. The book is described as such: "What do you do when the dead come back and your loved ones disappear? All Gabe McKenna wanted was a new floor for his barn. What he got was seven corpses, all long dead. Seven rich men, missing from New York. One of his closest childhood friends is gunned down in an Albuquerque casino. After escaping two attempts on his own life and with time running out, McKenna must uncover the connection and prevent his loved ones from joining the growing ranks of the dead. From New Mexico to New York to a lonely cliff once home to an ancient people, McKenna struggles against a bloodthirsty criminal enterprise for whom money matters more than any man’s life." Kidera’s debut novel, Red Gold, received the Tony Hillerman Award for Best Fiction of 2015, and won Best Mystery of 2015, and Best eBook at the New Mexico/Arizona Book Awards. Red Gold is the first novel in the Gabe McKenna Mystery series. After an early fling in the motion picture industry, and a long and successful career in academia, Kidera retired in 2010. With his desire to play major league baseball no longer a realistic dream, he chose to fulfill his other lifelong ambition and became a writer. He is a member of Southwest Writers, Sisters in Crime, and the International Thriller Writers organizations. The author lives in Albuquerque with his wife Annette and two cats. He has two daughters, a grandson and granddaughter. Page One Books is located at 5850 Eubank NE, Suite B-41, in Albuquerque's Mountain Run Shopping Center (southeast corner of Eubank and Juan Tabo). The Kidera event is free and open to the public. For more information, please call 294-2026 or visit [link].